There is no better way to become a hairdresser or beautician than by getting hands-on with clients. That’s what our hair and beauty salons at both campuses provide you with an opportunity to do. So not only will you develop your practical skills, you’ll pick up experience of dealing with the public, handling money and operating in a business environment. All of which will stand you in very good stead when it comes to securing your first job. We have several salons fully equipped that support all elements of our beauty and hairdressing qualifications. It is our aim to deliver an exciting programme of courses which will prepare you for employment and enable you to progress in the industry. Our fantastic, Hair & Beauty Zone (Bridgwater) and Hair & Beauty Agency (Taunton) are our commercial clinics in which you will learn, practise and perfect your skills with paying clients. Combined with fantastic work experience opportunities, trips at home and abroad, and a programme of guest speakers and demonstrations, these subjects will equip you with all the experience and contacts you need to progress in the industry. Our commercial clinic provides you with the opportunity to learn within an educational setting at the same time as providing a professional service to members of the public, which will help you to perfect your skills on paying clients. 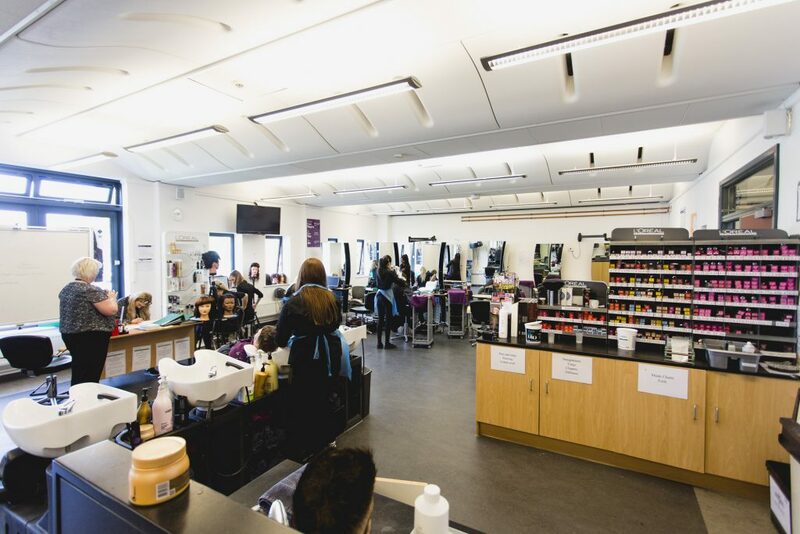 Our professional therapists/hairdressers will work alongside you in our state-of-the-art hair/beauty salon ensuring you receive an excellent insight into the beauty/hairdressing environment. Hair and Beauty Zone Price List – Bridgwater – Make an appointment at Bridgwater campus, call 01278 441310 or email us. Hair and Beauty Agency Price List – Taunton – Make an appointment at Taunton campus, call 01823 366485 or email us.